We got over an inch of rain last night and when I got on the water this morning to catch bait waves were crashing over the dock. Oh Boy, I had a lot to look forward to today! As I drove to find a place to get out of the wind I noticed most of the fish and bait positioned right over the channel. That is not a good thing, when they are over the channel they are not feeding. I set up in a creek with intentions of pulling boards over flats and points. My feelings came true, the first 6 or 8 fish were Catfish. When the Stripers are not feeding we usually catch Catfish and Punks. I knew it was going to be a challenge to put fish in the boat but we were having action with hopes of fishing getting better. Eventually we started popping Stripers but mostly punks. We hung in there and finally caught keepers. 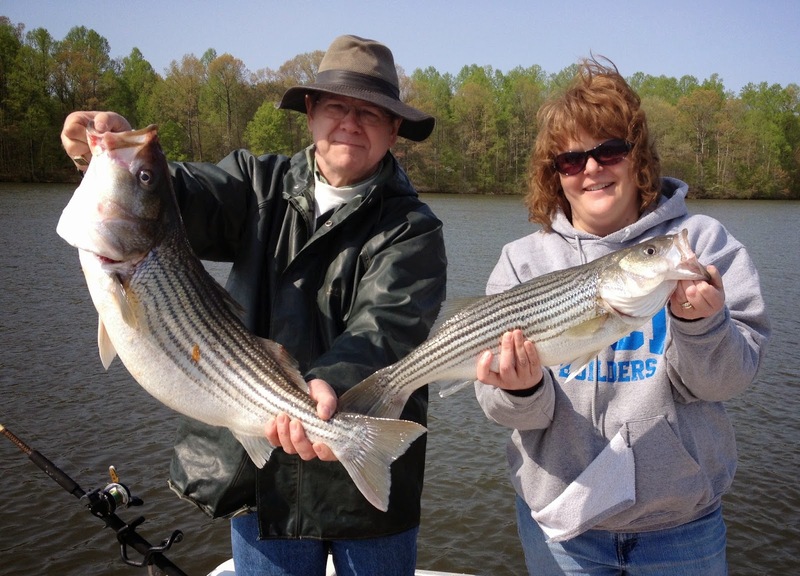 Ray and Dana are holding up two Stripers that were hooked up at the same time. 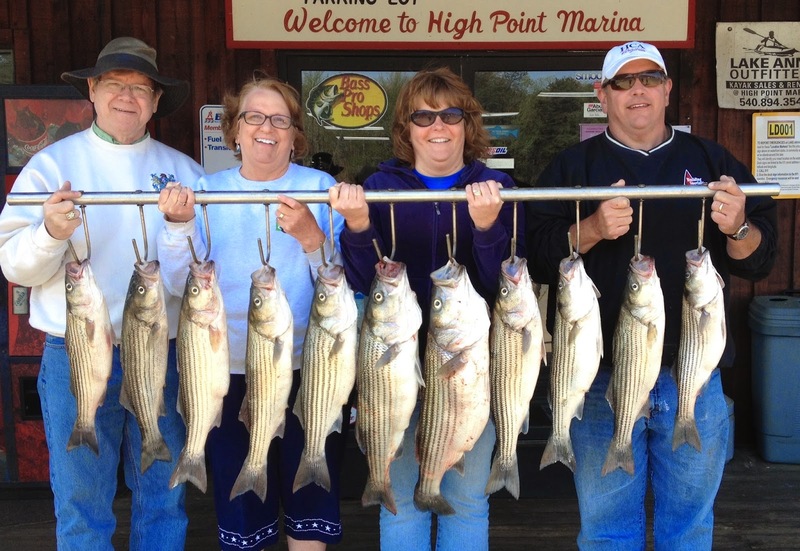 We all ended up having a wonderful day on the water and my crew had some fish to take back for the freezer. Perseverance beat this Blue Bird rising barometer cold front day.